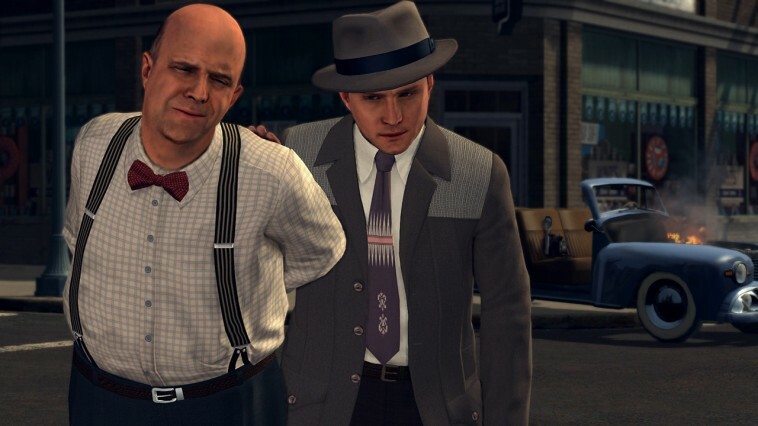 It has been six years since L.A. Noire was released on the Xbox 360 and PlayStation 3, and it was met with universal acclaim. In the intervening years however it has almost become a bit of a forgotten gem, not really anybody talks about it anymore, which is a shame, but Rockstar Games hope that will now change with the game getting a new lease of life on the current generation of consoles and appearing on a Nintendo platform for the first time. If you have never heard of L.A. Noire before then let me give you a quick rundown. This is Rockstar’s, (of Grand Theft Auto fame) attempt on a police detective game. 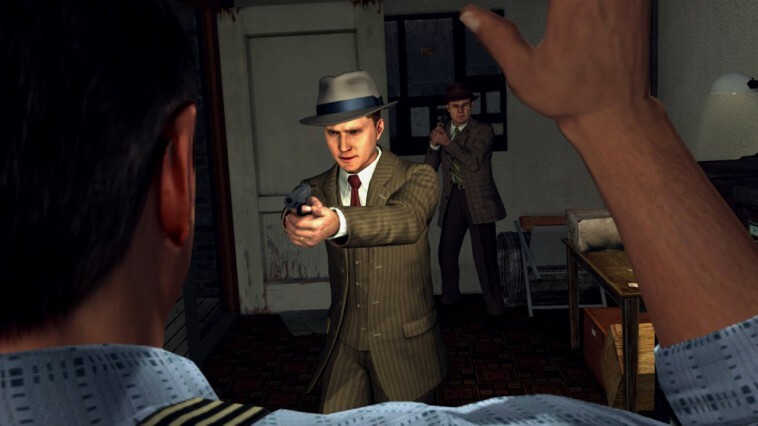 You play as Cole Phelps, a former U.S. Marine Lieutenant during the Second World War. He now works for L.A.P.D. and your job is to solve cases you are given, mainly by finding clues and interrogating key witnesses. There is a bit more to it than that, however. 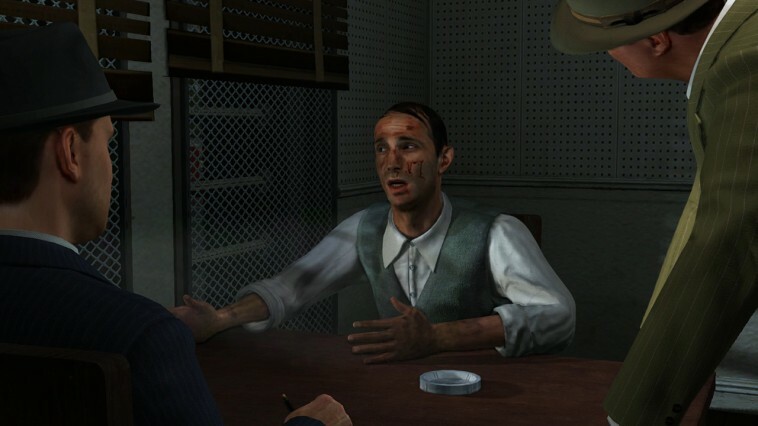 The big mechanic that made L.A. Noire stand out from the crowd back during its initial release was the interrogation and to be honest, there still hasn’t been a game since that has managed to better this in that regard, although truth be told there haven’t been many to even try from my recollection. Rockstar heavily advertised the game using a new technology called MotionScan that basically allowed every single character’s facial expressions in the game to look and act as real as possible. It was impressive back then and I must say that I am mostly impressed now too, as it still looks great. Before interrogating potential criminals, witnesses and suchlike, you need to search for clues and likely leads in the surrounding area. Certain clues could give you addresses of places you will need to go and check out or a new name which you will need to chase up and interview. As a little extra, whilst searching areas you are also able to find collectables such as newspapers that then give you cutscenes which will give you a bit of backstory as to what is front cover on the news. They’re not required, but they are there if you want to go after them nonetheless. When it comes to the actual witness interviews, you ask them a series of questions, they respond and it is up to you to determine whether or not they are lying by either having evidence that doesn’t correspond with what they are saying or by reading their faces. This is where the MotionScan technology comes into effect the most. Characters that are being rather shifty-eyed are usually not giving you the entire truth and yes, some characters go way overboard and it kind of ends up not feeling entirely believable because if you were lying but wanted to get away with it you wouldn’t make it so darn obvious. It’s not perfect but overall it’s still a really well-implemented mechanic that works just as good now as it did then and it certainly gives the game some uniqueness. Rockstar has made changes to the interrogation choices, ones that I’m not sure if I’m overly happy with or not. Previously you were given the option to pick ‘truth, ‘doubt’ or ‘accuse’. They have now changed those options to “good cop”, “bad cop” or “accuse” respectively. I think the main reason for this change was to make what Cole was about to say a bit more accurate as to what you selected. Previously, the option “doubt” would often lead to Cole reacting very angrily and making threats, which sometimes made it seem a little confusing because that isn’t what you expected would happen based on what you chose. Now with “doubt” being changed to “bad cop”, it’s much easier to judge how Cole is going to act. The problem, however, is that the options are still a little too vague. I genuinely sat there sometimes contemplating what the game means by “good cop” and “bad cop” during the situation I am in. Do I pick “good cop” because I believe the witness or because I want to go about finding the answer in a non-aggressive and angrily way? It’s just a bit too confusing sometimes and isn’t specific enough. I think that new players might struggle a bit more with this new change than players returning from the Xbox 360 or PlayStation 3 version because at least I technically knew the two meanings as to what each choice is trying to say. There were a few instances where it was really difficult in determining what the correct answers were and I had to resort to guesswork but for the most part if you are really following the case closely and are taking it all in you can definitely get most answers right. It is a satisfying feeling when a witness gives their statement and you know they are lying because you can whip out some evidence that contradicts what they have said. You will truly feel like you’re on your way to becoming Sherlock Holmes at this point. The game also features gunplay and driving, because it is Rockstar, after all, it’s what they do. Gunplay, if I’m being honest is the worst aspect of the game. It just doesn’t work well at all, it’s very clunky and unresponsive and you will rarely feel that you are in full control of the aiming. Unfortunately, most of the optional side missions require the use of guns so it’s hard to avoid using them if you are going for everything. Driving works well as you would expect it to as it plays quite similar to a Grand Theft Auto game, with the exception that you can’t run over prostitutes (sigh). It’s sometimes nice to just drive around and experience the believable and lively open world that Rockstar has yet again managed to create. Exclusive to the Switch version, L.A. Noire can utilise the Joy-Con’s motion control capabilities as well as the Switch’s touchscreen, to a varying degree of satisfaction. Both control methods work, that I will say, it’s just that the motion controls don’t work as well as I’d like them to so I simply did not bother using them after an initial try out. Touchscreen controls work much better, but more on that in a second. Of course also exclusive to the Switch version is the ability to play it fully portable and it looks amazing played like this. It still amazes me that we are seeing this kind of game being played on a handheld device. What’s more, using the touchscreen to manipulate objects and going through your notebook with pinches, taps, and swipes is pretty cool and Rockstar must be commended for adding a genuinely well thought out way of using the Switch hardware to further enhance the experience. You can even use the touchscreen to move around and to move the camera too, this works less effectively, but it means that you can play the game just using the touchscreen if you really wanted to. I’m not sure why you would though. On the whole, any concerns that the Switch would get a watered down or poor port of L.A. Noire are well and truly quashed. Yes the game isn’t perfect and it still has a few problems that haven’t been entirely addressed such as slightly clunky controls during the more tightly spaced areas, the gunplay and the not so overly specific dialogue system, but for a six-year-old game it still holds up extremely well and as mentioned earlier, some aspects have yet to be bettered. If you have never played the game before then this is a great way to experience it. All the DLC is included too so even if you have played the base game before but not the DLC (like me) then there is a further incentive for you pick this version up. There isn’t really anything like this on the Switch and I would wager that it will be a while before we see something similar come along, so for that alone, it may be worth you taking a risk on it.